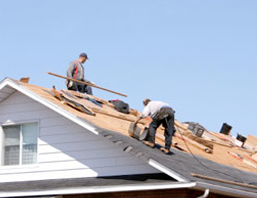 With over 20 years experience in home building, remodeling and restoration fields, Skill Construction has what it takes to provide quality products, quality construction and customer satisfaction. Beginning in the restoration contracting business and moving into the remodeling industry, the next obvious step for Steve Arnold was the new home building market. 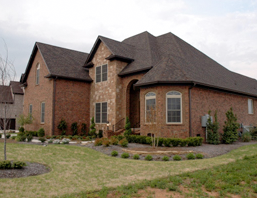 Years of tried and tested knowledge in related homebuilding industries, paying close attention to state-of-the-art products and detail, and hands on style of building have made Skill Construction a name that assures home buyers a lifetime of comfort and superior value in their investment. 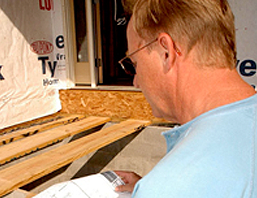 Skill Construction offers new home buyers distinctive workmanship, low maintenance, high quality and functionality. With a name like “SKILL” you can expect professionalism, service, and great attention to detail. Skill Construction’s building ethics begins in the soul and the beliefs of Steve Arnold the president of Skill Construction Co., Inc. Every step of Skill Construction’s building process is based upon what is known in the building industry as the most precise way to build a home. At the very foundation of the house Skill Construction uses re-enforcement, positive drains, etc. Instead of contractor grades Skill uses products that reflect the quality expected and deserved of our customers. Energy efficient windows, engineered design framing system (floors, walls, ceilings, roofing, etc..), custom flooring products, extensive trim package, and paint colors. These are just a few of the many ways that Skill constructs their homes in order to make our company stand out beyond all the others. We do not concern ourselves with what cost the lease amount. Our concern is to always build a home so that Skill Construction can be proud of the final product. Skill Construction will use every inch of a floor plan to make larger rooms, extra closets, and make floor plans more functional. We don’t just build a home, we are developing your lifestyle so that when you move into your home and all is said and done, you the client will be amazed at the “SKILL” of a Skill Construction home. Don’t just build a home, create a lifestyle, buy a “SKILL” home today! Our mission is to operate a successful company by delivering a product and a service of the highest industry standards. Keeping God’s will in mind while adding a value of life for your family and ours to share. Whatever you do, work at it with all your heart, as working for the lord, not for men, since you know that you will receive an inheritance from the Lord as reward. With a SKILL home you can rely on attention to detail and precision, and with your home built by SKILL Construction you can count on warm, attractive, inviting spaces for you to do your living, entertaining, and growing. Customer Approval. In a day and age where the discerning home buyer searches for quality, all one has to do is tour a SKILL Construction home to find that nothing has been missed when it comes to attention to the smallest detail.